Helmet Of Gnats - Timeslip (2015) Hybrid SACD - Surround Sound! 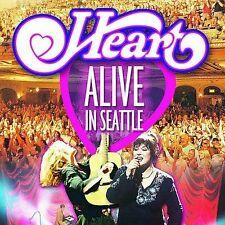 Disc will play on CD players and SACD players. 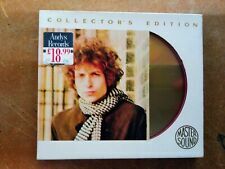 SACD layer contains the entire album in high resolution surround sound and stereo. First of all, I think this SACD(SINGLE LAYER) sound is superior to ESOTERIC version. And this SACD is cheaper than ESOTERIC version. Stravinsky: ballet "The Rite of Spring". ■Format : SACD SINGLE LAYER CD (2DISCS). János Starker, Violoncello. Janos Starker (cello). Cello Suites 1007-1012 BWV. Six Suites For Solo Cello, BWV 1007-1012. disk form: SACD (Single Layer) CD · 4 Disc ※. Johann Sebastian Bach. Adopt a sound Takumi specification label coat is on the label surface of the disk. Small Blue Thing. Condition: new. Neighborhood Girls. Knight Moves. The Queen and the Soldier. 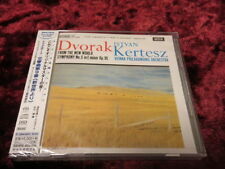 Conducted by Istvan Kertesz. First of all, I think this SACD(SINGLE LAYER) sound is superior to ESOTERIC version. And this SACD is cheaper than ESOTERIC version. ■Format : SACD SINGLE LAYER CD (2DISCS). This product digitized analog and master tape sound almost without processing. Therefore, in principle, it does not perform correction such as equalizing to make the sound easy to hear, noise cut and dropout caused by the master tape, etc. not only cut at the very low range. Composed By – George Antheil. Format:SACD, Hybrid, Multichannel, Stereo. Conductor – Gil Rose. Genre: Classical. Orchestra – Boston Modern Orchestra Project. If they arrive cracked we advise just buying a new one for about 35 cents and replacing it. Composed By – George Antheil. Genre: Classical. Our goal is to match artwork layout and CD label appearance. Format:SACD, Hybrid, Multichannel, Stereo. Orchestra – Boston Modern Orchestra Project. If they arrive cracked we advise just buying a new one for about 35 cents and replacing it. Album in 5.1 surround sound. RARE AND DELETED SACD/DVD EDITION. number one. you never know. just a few light marks on discs. ride a white horse. satin chic. All as new. Lightest mark on disc if held up to a bright light - hardly noticeable and plays fine. See final photo for small crack on rear cover and a raise on one corner of booklet. Rare 2 disc - sacd set. 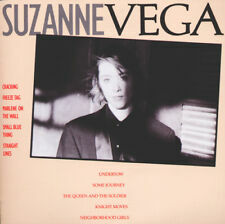 very good condition - just a bit of wear on the card sleeve from storage and a couple of very light marks on the discs. 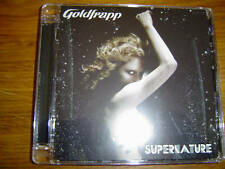 Goldfrapp - Supernature SACD DVD limited edition 5.1 surround sound CD . Condition is Like New. Dispatched with Royal Mail 1st Class Large Letter. SACD - SURROUND SOUND - HYBRID EDITION. A South London Celebration (2017). A London Celebration. Southern Australia. Ask The Saviour. The Cleansing Power. Roger Waters - In The Flesh SACD 2 disc 5.1 Surround Sound. SACD requires SACD player to take advantage of 5.1 Surround Sound. Case has some light scuffs. Booklet like new. SACD disc 1 excellent, with a couple minor marks, doesn’t affect the disc. SACD disc 2 excellent with some minor marks, doesn’t affect the disc. Any questions please ask. Hans Vonk 1942-2004 - The Final Sessions. Hans Vonk (conductor). 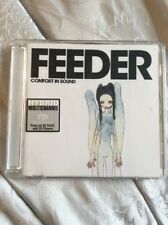 The disc used but Like New condition. Plays perfectly. Classical - Orchestral. PTC 5186 045. Mormon Tabernacle Choir. The Sound of Glory - Mormon Tabernacle Choir/Jessop. "The Sound of Glory - Battle Hymn of the Republic". Orchestra at Temple Square. Sing Praise to Him. Arise, O God, and Shine. Format: CD. CategoriesVinyl CD DVD Blu-Ray MC/Cassette. Artículo dañado o defectuososerá reemplazado sin costo alguno para usted. Los gastos de envío para la restitución a su cargo. 100% Satisfacción garantizada! Album in 5.1 surround sound. mint / near mint condition -. RARE AND DELETED SACD/DVD EDITION. number one. photo gallery. ride a white horse. satin chic. Formato Audio Cd. Formato Audio. Formato Video. Titolo Originale. Formato secondario. Sistema Tv.